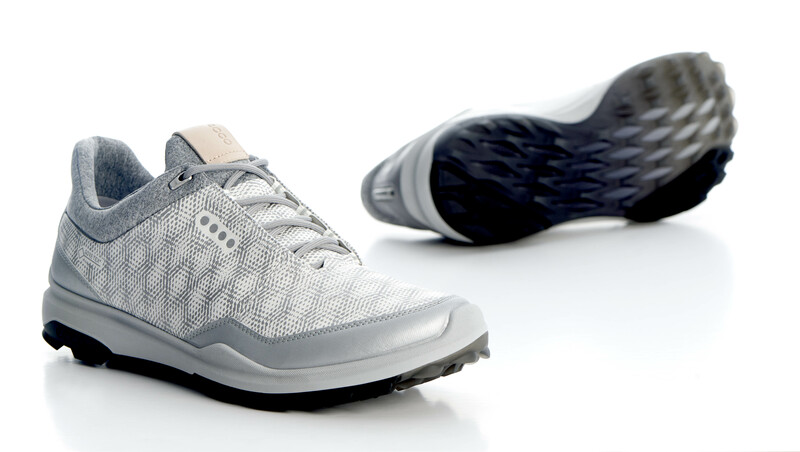 Ecco Biom Hybrid 3 golf shoe review: the product that could change the perception of Ecco. The Ecco Biom Hybrid 2 was hugely popular, but we think the new generation will trump it. Ecco golf shoes are synonymous with high quality, but are not always the most fashionable on the market. You probably won’t catch many teenagers wearing their products – but their parents probably will be. BUT, in 2018 Ecco is putting aesthetics higher up their priorities list – and they’re achieving some decent results. It can been seen across the brand – take a look at the full range of Ecco products, and you will see some high fashion goods. Their tannery, which we visited in Holland, is full of young, on-trend designers and shoppers, and it's changing things. 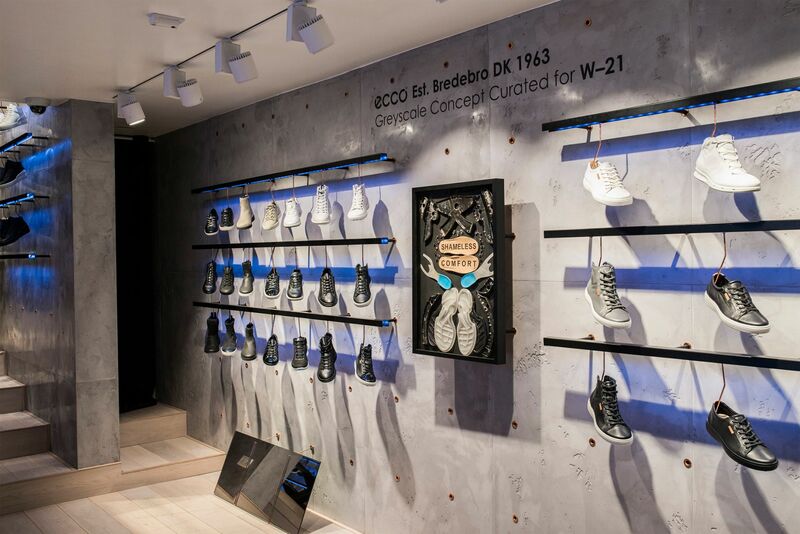 Highlighting this trend is the concept store in Amsterdam – W21 – where Ecco sell some of their most progressive products. Youngsters (you’d probably brand them hipsters) are all over it. Even with an inflated price tag (because they are sold in small batches) the shoes are flying out the door. And that’s what Ecco hope will happen with their new Biom Hybrid 3. It’s predecessor, the Biom Hybrid 2, was extremely popular worldwide, with those over a certain age. 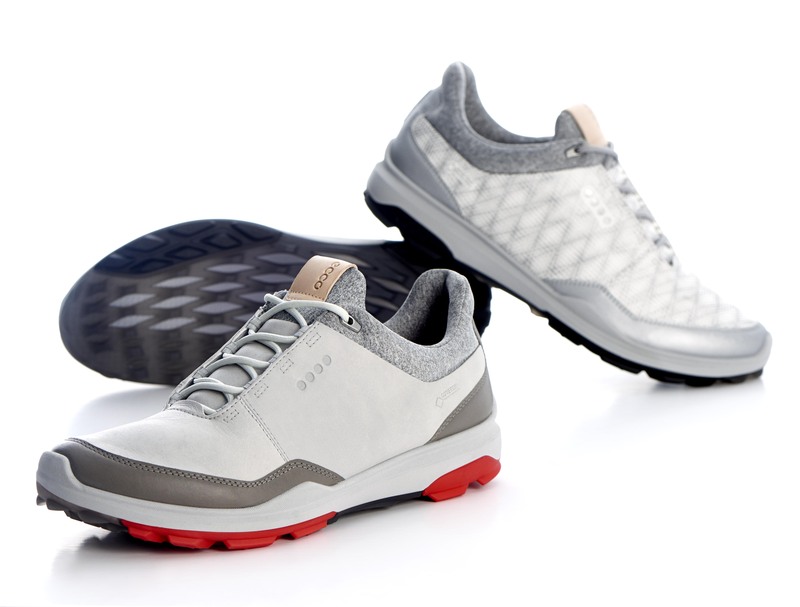 Could this new golf shoe be the one that changes perception of this Danish megabrand? Look, this is clearly the successor to the Biom Hybrid 2, and would I wear this to the pub after a round – probably not. I haven’t got anywhere near that stage with any golf shoe. But, we think this is the best looking Ecco shoe – alongside the Cool – we’ve gotten our hands on. It’s a sleek shape, and the funky patterns on the leather are fun. It almost looks like synthetic leather. It’s available in a range of colours, so you can pick a style that matches your favourite outfit, or just choose one that fits with them all! We haven't always loved the looks of Ecco golf shoes in the past, but this one gets the green light from us. The new @eccogolf Biom Hybrid 3 with Tri-Fi Grip. Ecco golf shoes traditionally cannot be beaten when it comes to performance on the golf course, and that continues with the Ecco Biom Hybrid 3. This shoe is made from the finest yak leather and processed in Ecco’s own tanneries, which also serve some of the biggest fashion brands in the world. Doubled up with a durable TPU midsole and motion technology, it creates the most comfortable golf shoe we’ve ever slipped into. It’s incredible – we’ve worn these all day while travelling and while out on the course, with no issues. It has the comfort of a trainer, but all the requirements of an elite golf shoe. The brand has teamed up with Gore-Tex again, offering 100% waterproof guarantee, but also breathability. We wore these over two rounds, both on sodden courses, and were left with dry, fresh feet. And then there’s the new Tri-Fi grip, which is split into three zones; one for stability, one for durability and one for rotation. These shoes do not clog up at all, shedding debris as you walk, and we found the grip offered on wet days was comparable with what you would expect from a cleated shoe. In fact, we played yesterday in the rain and decided to wear these rather than spiked shoes because we knew they’d have enough traction. The nubs are also designed to be hard wearing, so if you want to wear them as a casual shoe you will not wear away the grip. There is a BOA option on the shoe if that’s your thing, for an extra £10. Unrivalled when it comes to comfort, waterproofness and grip for a spikeless shoe, and Ecco have made great strides in terms of aesthetics. Will this be the shoe that changes the perception of the brand as “only for the oldies” – only time will tell. World class leather, Gore-Tex, and a host of technology means you are going to pay a hefty price, but you can understand why. We don’t think they are overpriced considering what you get.